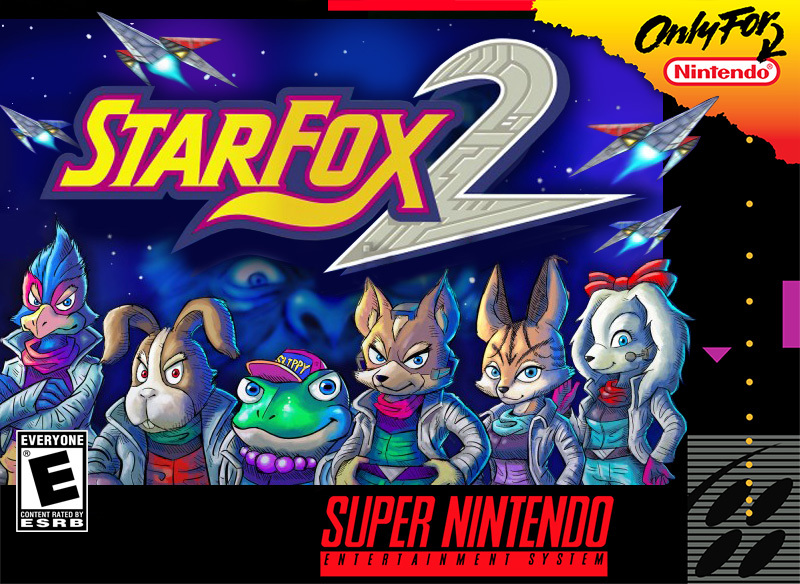 Nintendo dropped a double-whammy yesterday, announcing the Super NES Classic and confirming that one of the included games is Star Fox 2, the unreleased sequel to the best-selling original. As you'll know if you've consulted our definitive feature on the topic, Star Fox 2 was supposed to be released in 1995 but Nintendo decided against it at the last moment. With the arrival of the Super NES Classic this much-hyped game is finally getting a proper release - and Nintendo has gone as far as to create official box art for it. You know what would be really amazing? If Nintendo actually released this as a proper Super Famicom cartridge. While we doubt that will happen, it's surely only a matter of time before we see reproduction carts with full packaging appear. This game is 21-22 years old, yet it's still a new game for most people. Pretty cool, huh? 1995 called and said you can keep Star Fox 2. It's too late for the game now. 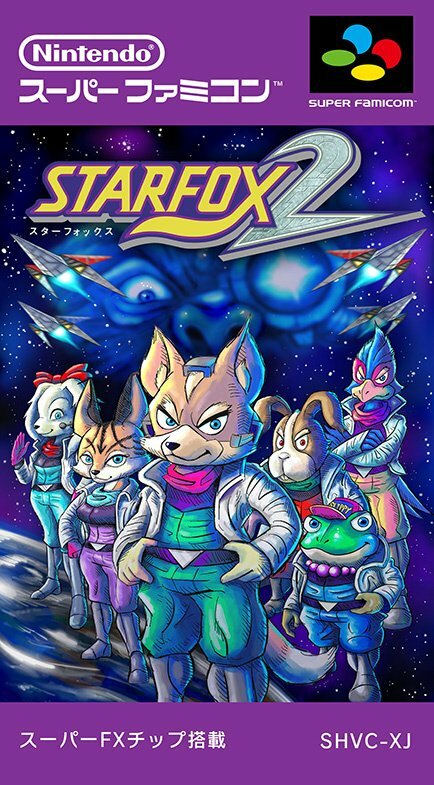 Sorry guys but if the original Star Fox is any indication then this is going to be dog rough. In order to do the 3D effect with the aid of the added chip to the cart, the graphics took a major hit. It's one of those games that was amazing back in the day but now look like something scraped off the bottom of a shoe. The art's nice but it's light years away from the games actual visuals. Can I ask a stupid question? Is the SNES Mini able to play the original cartridges? @spantonio No. Here's a shot I took of the controller versus a game cartridge. ISSD by the way would be a great candidate to replace at least Kirby's Dream Course. There wouldn't be any licensing issues either. Now look at the SNES Classic Mini. @SLIGEACH_EIRE looking amazing back in the day is the very merit that warrants part of the interest. It's what retro gaming is about - [re]discovering and experiencing the history of video games. And that's why all these classic minis and virtual consoles and the like remain in demand beyond those old enough for nostalgia. Even Atari is tapping into this market again, and one could say 2600 graphics haven't aged any better. This makes a nice phone wallpaper. @spantonio It isn't, sadly. You'll need a clone console for that. @SLIGEACH_EIRE If you base your entire opinion on a game by whether its graphics are good, then you may want to reconsider. There are a lot of games that haven't aged well, but people still play them. I don't think a lot of games from the N64 era have aged well graphic-wise, but that doesn't make the game bad. Heck, Eternal Darkness is one of my favourite games ever, but the graphics definitely have not aged well. Everything that people have found from screenshots/ROMs of Star Fox 2 has made it look like a significant improvement to the original in all ways but graphics, and frankly - though I likely won't be purchasing the SNES Mini since I already own most of the games packaged in it - I have a feeling it's going to be regarded as one of the best entries in the series; Star Fox 64 currently holds that title, and it's pretty much a remake of the original Star Fox just with better graphics. If this improves on the original game, I think a lot of people may even consider it better than Star Fox 64. Since no one is ever going to be able to get this console, might as well wait for it to hit VC.... Oh wait. @FragRed After finding out about the reveal quite late last night I went onto the Game website in the UK and pre-ordered a SNES Mini with no bother whatsoever. Now they may come back and tell me that they have accidentally accepted more pre-orders than they can fulfill (Game are pretty useless) but so far it doesn't seem that hard to get one here at least. PLEASE PLEASE PLEASE Nintendo, once you run out of SNES minis, because you didn't make enough, PLEASE release this game to Switch. @PugHoofGaming Yes, but it's currently not clear how much Nintendo has changed the game (since 1995) for the official release with SNES Mini. I hope they've made improvements and maybe even added new content. @FragRed Instead of moaning about not getting the SNES Classic, why not preorder? @Trikeboy Because it sold out in the UK within a couple of hours. From what I've seen of this game on YouTube, I don't think I'll enjoy the game that much, so it's more of a curiosity than anything else for me. I don't like the fact it loses the on-rails sections and replaces them with a perculiar interactive map, and all the 'levels' are short free roaming mini missions. Of course I'm basing it on the beta, it will be interesting to see how the full game differs! As a retro gamer, I love this kind of thing. I mocked up my own NA SNES box art using the official art too, just cause I'm THAT excited for this whole thing. @PugHoofGaming Who said its completely finished? and what did you find was unfinished? 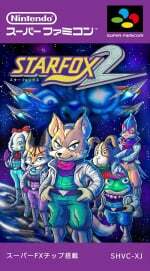 @YANDMAN According to an interview with Dylan Cuthbert on this very site (http://www.nintendolife.com/news/2017/06/feature_the_full_story_behind_star_fox_2_nintendos_most_famous_cancellation), the game was fully QA'ed by Nintendo and mastered. The leaked versions that's have been available for years were not complete, and were bug fixed by ROM hackers to get it in a fully playable state (Including translating the Japanese text). This'll be a different experience from the emulators uploaded to the internet, right? Nice, and super unexpected. However, I hope it also does come available as a download (preferable on Wii u, but that's bonkers). Because I won't buy a Super nes mini, my tv only has Scart-input. That is some cool book art! Starfox really was one of the milestones back in the day. It showed UNBELIEVABLE GRAPHICS! and that is not exaggerated. People who weren't there at the time don't understand the effect of games like Star Fox and then Donkey Kong Country had on the public and the whole gaming industry! And even before that Nintendo set milestones in graphical quality with Super Mario World and F-Zero! Those games were huge among the tech and visual freaks. Star Fox and DKC were the biggest! Nintendo's decision to cancel Star Fox 2 was tragic for all fans. We all would have bought it, and after that we would have still bought Star Fox 64 without a problem. Cancelling a finished game is madness (especially when the next game is at least 2-3 years away and on the next platform). @Trikeboy Unfortunately I didn't see the news until several hours later due to work. This wouldn't be a problem if Nintendo actually knew what they were doing in both producing these things or getting VC onto Switch. @SLIGEACH_EIRE well that's a sweeping statement if ever I saw one. I still like the way Star Fox looks. So 1995 did not call, and no its not too late for the game. As a Star Fox fan I'm excited for it, as I'm sure lots of other people are. Its not that hard to comprehend. @SLIGEACH_EIRE I don't care much for Star Fox, but I think the second game is actually pretty fun. It actually should release this as an official Famicom/SNES cartridge like you said; that's would just be sooo cool. I forked out £300 or so for the Switch so I could play Nintendo games. Not happy I have to buy a new bit of hardware if I want to play Star Fox 2. I just wish they'd just tell us what's going on with the VC already. @SLIGEACH_EIRE I don't know what issue you have with the game but I personally think the original Star Fox is as much fun to play now as it ever was. Sure, it's not running at 60fps, and we don't have HD visuals or anything like that, but it is all totally and utterly playing imo, and it's still the best in the series too as far as I'm concerned; it's the only one that really ever captured that proper "Star Wars" space opera and epic movie-like feel to it. The sequels just started feeling a bit more childish and gamey with each iteration. I would love to buy an official snes cart of this game. the main thing that's going to be interesting to me is if the rom is any different from that one that's out there. I havn't yet bought the repro starfox 2 cart. If the rom is different I'll wait for that one to be on a repro. Course if they did release an official star fox 2 cart I'd buy it but nintendo isn't that smart. Yes it did, you just missed its message. @Yorumi Well Nintendo certainly don't have any Super FX chips anymore so I doubt they be able to put this on cartridge form for the original Super NES. A Star Fox compilation for Switch would be more possible. I'm only pointing out that you forgot to check your missed calls because I'm pretty sure 1995 did dial you. I've met him, actually. He's a nice year. I hope Nintendo will continue this Mini Classic series, here's to hoping Gameboys are next! I was late..after 22 years Star Fox 2 will finally officially release! I was a two year old toddler then, Nintendo created an official Super Famicom box art...... that`s touching as it`s what it would have been. It should get a Nintendo Switch Virtual console release. @AhabSpampurse @impurekind I'm glad there are people who agree with me. Everywhere I go, there's always people who say Star Fox aged terribly and nobody would want to play it again. Makes me sad. I think it aged pretty well and it still looks as good as ever to me. The polygons are all nicely shaped and clean. Star Fox (IMO) is easily still the best game in the entire series, with the best music (especially) and challenge. It's sad I'll never be able to play it on the 3DS though. Getting to the subject, I think the 'official' box art doesn't look very good. Miyu's ears are way too big too for a lynx. Her in-game portrait looks much better with proportioned ears. Also, Peppy looks very angry which is uncharacteristic for him. @MiraiMoon Many people may regard SF 64 as the best game in the series, but I sure don't agree. It may be a good game, but it has nothing on the original Star Fox in several areas. SF 64 IMO is the 2nd best game in the series though, so it's not as if I despise the game. It's just that aside from upgraded visuals (although I don't think Star Fox has terrible visuals at all), I think Star Fox does everything else better. @Freelance Yeah, I think a lot of people will be rather surprised if they actually go back in and play this game again on the SNES Mini, where hopefully it's a really solid emulation and there's basically no lag and an official SNES controller to play with again, and discover it's actually a much better game than they think. I totally think Star Fox on the SNES is the best game in series, by far--it's the only one that truly feels epic in that Star Wars sci-fi space opera type of way--regardless of the underlying graphics tech aging somewhat (yet it still maintains a certain kind of artistic value in its particular flat-shaded polygon style). And, yeah, that artwork isn't awesome. But part of the charm of old box art was that it looked kinda crap on a purely critical/technical level but still really stylish and aesthetically uplifting at the same time--like the classically terrible yet utterly awesome Mega Man box art work*--and I think it achieves the just fine and dandy.